The Toronto Raptors reportedly are interested in Washington Wizards shooting guard Bradley Beal. According to Sean Deveney of Sporting News, the Wizards are asking for two players and two draft picks in exchange for Beal. 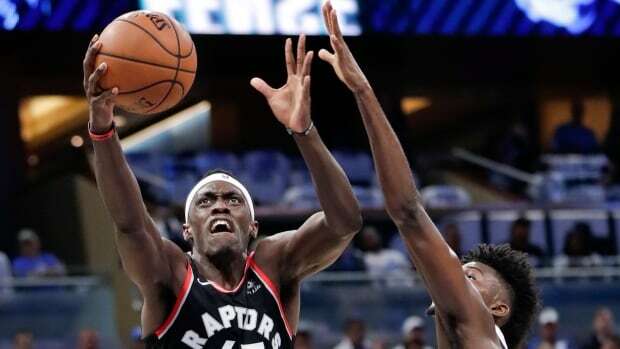 While Beal could be a good fit in Toronto, Deveney speculated that the Raptors would have to part with promising players Pascal Siakam and OG Anunoby, as well as two first-round selections to land him. Deveney added that Toronto would also have to convince Washington to take a 2023 first-round pick as part of the deal since its 2019 first-rounder is already owed to the San Antonio Spurs. Given those circumstances, a deal involving Beal is unlikely to come to pass. Beal would give the Raptors another bona fide offensive star, though, as he is averaging a career-high 23.6 points, 4.8 rebounds and 4.7 assists per game this season. The 25-year-old is also knocking down 2.3 three-pointers per contest. Beal was named an All-Star for the first time last season, and with John Wall out for the remainder of the 2018-19 campaign with a heel injury, he is an even more important figure for the Wiz moving forward. Washington is a disappointing 15-23 this season but only three games out of a playoff spot in the top-heavy Eastern Conference. Beal has two years remaining on his contract beyond 2018-19 at an average yearly salary of around $28 million. Toronto could use some backcourt help with point guard Kyle Lowry nursing a back injury, but Fred VanVleet has been a solid fill-in during his recent absence. Even with Lowry missing some time, the Raptors are in great shape, as Kawhi Leonard has led them to a 28-12 start, which has them in a virtual tie with the Milwaukee Bucks for the No. 1 seed.